Plays like Lotto! Young learners quickly build matching and memory skills as they play this award-winning Match Me® Game. 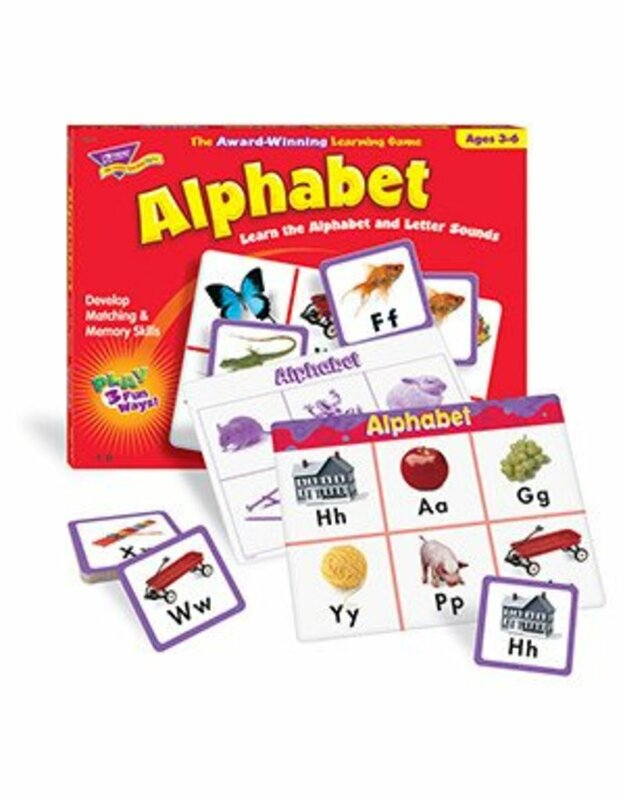 Practice alphabet skills with students by having them match uppercase and lowercase letters with photographs that provide beginning letter sound cues. Eight 2-sided game boards facilitate growing skills and keep kids engaged. Pieces are extra sturdy for learning fun. 1 to 8 players. Play 3 ways. Includes 52 game pieces, activities, and a sturdy storage box.